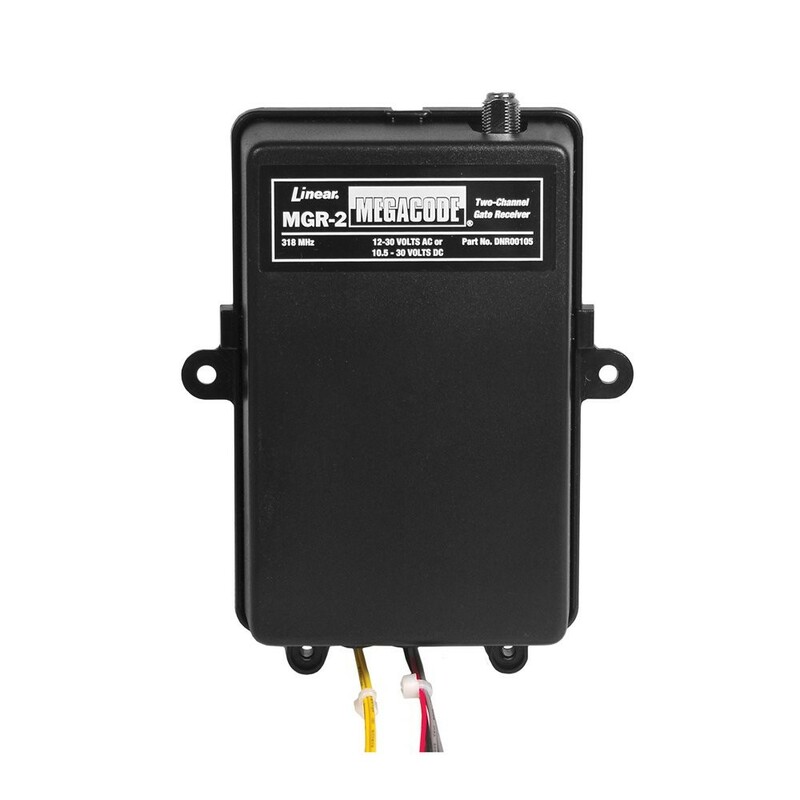 The MGR-2 is a 2-Channel Gate Receiver designed for use with automatic gate operators or systems where a remote antenna is needed. 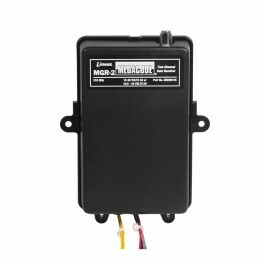 The MGR-2 can operate two gates, one gate and an obstacle sensor, or channel one can open the gate and channel two can close the gate. The receiver uses the MegaCode radio format with over a million possible code combinations. Up to 40 transmitters can be programmed into the receiver.